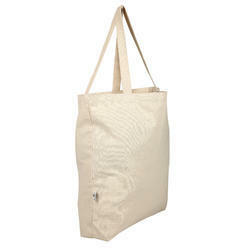 We provide Cotton Canvas Bags in different color options with a capacity of storing various things. Available at market leading prices, these cotton bags are divided in to various sections that enable people to carry the items comfortably. Material : 10oz heavy weight cotton canvas material . Colour : Natural with Black / Navy / Green or any custom colour possible. We are the leading manufacturer and exporter of Cotton Bag (Colored). 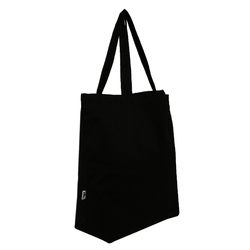 To meet the diverse requirements of clients, we are engaged in delivering a superior range of Cotton Canvas Bags. These canvas promotional bags offered by us are admired for their fine finishes and long lasting features and are ideal for several occasions. In addition to this, the offered canvas promotional bags are offered in different color, design, pattern and size as per the diverse requirements of clients. Material : 10 oz Cotton Canvas, 20" Cross Stitched Webbing Handles. Colour : Natural / Black. 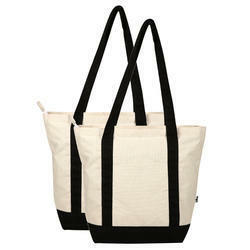 We are the manufacturer and exporter of Cotton Canvas Bags. Supported by wide distribution network, we are able to offer a wide and comprehensive range of Cotton Bag (Colored). These cotton bags (colored) offered by us are ideally utilized in grocery and shopping. In addition to this, the offered range of economy cotton bags is suitably for trade, conference and promotion. This range is developed using 100% cotton, sourced from the reliable vendors of the market. Appx Size : 14.5"w x 16"h.
Material : 5oz light weight cotton canvas material with 20" long self-fabric handles. Colour : Natural/Black / Navy / Green or any custom colour possible.